Domestic violence offenses are unique in that defendants who are convicted of these crimes are subject to certain mandatory conditions if placed on probation. With many non-domestic violence offenses, judges have a great deal of discretion when sentencing a defendant. However, California Penal Code Section 1203.097 PC requires mandatory conditions for domestic violence defendants. These mandatory provisions are required even where the defendant is sentenced to a reduced charge that is not what is usually considered to be a domestic violence crime. Under California Penal Code Section 1203.097 PC, defendants who are sentenced on domestic violence offenses must be placed on probation for a period of at least three years. In addition, the Court must require a criminal protective order that would protect the named victim from further acts of violence, threats, stalking, abuse or harassment. The Court can make the protective order a “Level One” protective order that allows peaceful conduct between the parties. Alternatively, the Court may require a full stay-away no contact order would prohibit the defendant from having any contact with the named victim. California Penal Code Section 1203.097 PC requires a minimum $500 fine that may be reduced if there is a finding of financial hardship. In addition, the victim must be given notice of the disposition of the case. The defendant would be required to complete a 52-week batterer’s program and also complete a specified amount of community service. These are only some of the mandatory conditions required by California Penal Code Section 1203.097 PC. In some cases, the prosecution may dismiss a charge of corporal injury to a spouse in violation of California Penal Code Section 273.5 PC or domestic battery pursuant to California Penal Code Section 243(e) PC and allow the defendant to plead to a reduced charge, such as disturbing the peace under California Penal Code Section 415 PC or vandalism in violation of California Penal Code Section 594 PC. Court have found that even where there is a reduced charge, the mandatory sentencing provisions of California Penal Code Section 1203.097 would still apply where the victim is one of people specifically included in California Family Code Section 6211 FC. In the People v. Cates decision, the California Court of Appeals held that vandalism falls under the sentencing requirements of California Penal Code Section 1203.097 PC where a vehicle was damaged as part of a domestic fight. The defense may be able to argue that certain criminal offenses, such as trespassing under California Penal Code Section 602 PC or disturbing the peace pursuant to California Penal Code Section 415 PC do not involve a specific victim and thus would not be subject to the mandatory conditions of California Penal Code Section 1203.097 PC. However many courts choose to apply impose requirements in any case involving domestic violence or victims as listed in California Family Code Section 6211 FC. 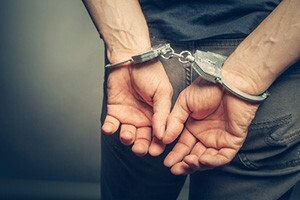 If you have been arrested or charged with a domestic violence crime and want more information about mandatory sentencing provisions, it is crucial that you speak with an attorney experienced in this area of the law as soon as possible. Michael Kraut is a former Deputy District Attorney with over 14 years of prosecutorial experience who is highly respected for his in-depth knowledge of law and unmatched litigation skills. For more information about domestic violence mandatory conditions and to schedule your free consultation, contact Michael Kraut at the Kraut Law Group located at 6255 Sunset Boulevard, Suite 1480, Los Angeles, CA 90028. Mr. Kraut can be reached 24/7 at 888-334-6344 or 323-464-6453.